“Your beautiful county that is Donegal. This Atlas will showcase what’s best in the county: the scenery, beauty and most important it’s people” Buy the Book! This handy little pocket-size book contains the differences between British English and American English. 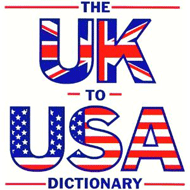 If you don't know your "billycock" from your "tribly," "take a shufti" through the U.K. to U.S.A. Dictionary. March 17th—that time of year when Chicago dyes its river green, revelers line the parade routes, beer takes on the hue of the shamrock, and Irish musicians tune their fiddles and play the old favorites—that one day when everyone is Irish. But what about the rest of the year? The other 364 days? If you find yourself suffering from withdrawal for the sheer want of an Irish experience, take a look at what’s inside this book, for Finding Your Chicago Irish is your guide to Irish in Chicago and suburbs.